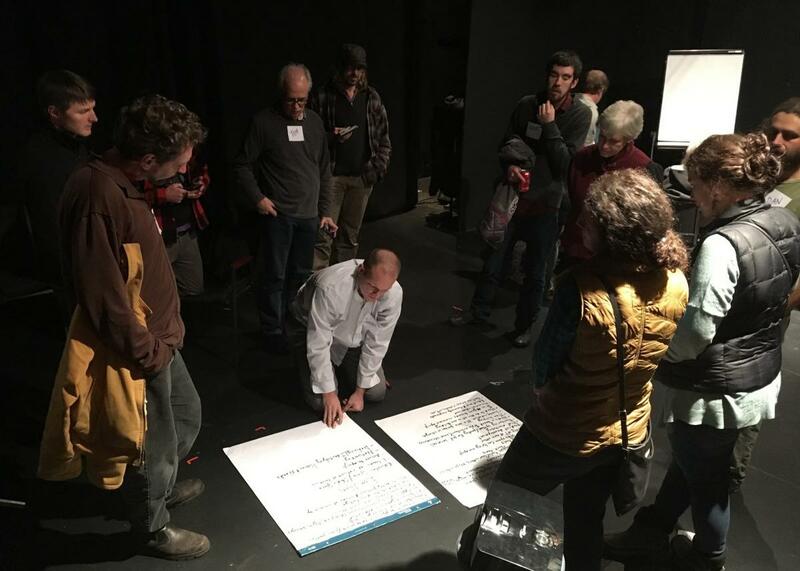 Nearly 70 makers, hackers, DIYers, business owners, public officials, and community members came together to explore the idea of rural communities of making and what that could look like in the region at Pendragon Theatre on November 9th. 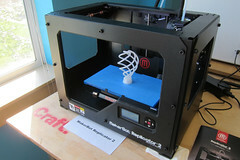 Makerspaces and hackerspaces have been the center of attention in business, political, and academic research circles in recent years for their ability to both build community and incubate the creation of small businesses by reducing startup costs and barriers to entry. A short presentation was also given by Ethan Mikesell from HacDC who relayed the space's structure, governing model, and close involvement with local schools. Bringing in the expertise of community members from the HacDC hackerspace has resulted in engaging students in multiple large scale projects including a space blimp. Afterwards attendees broke out into breakout groups based on their areas of interest and geographic location. 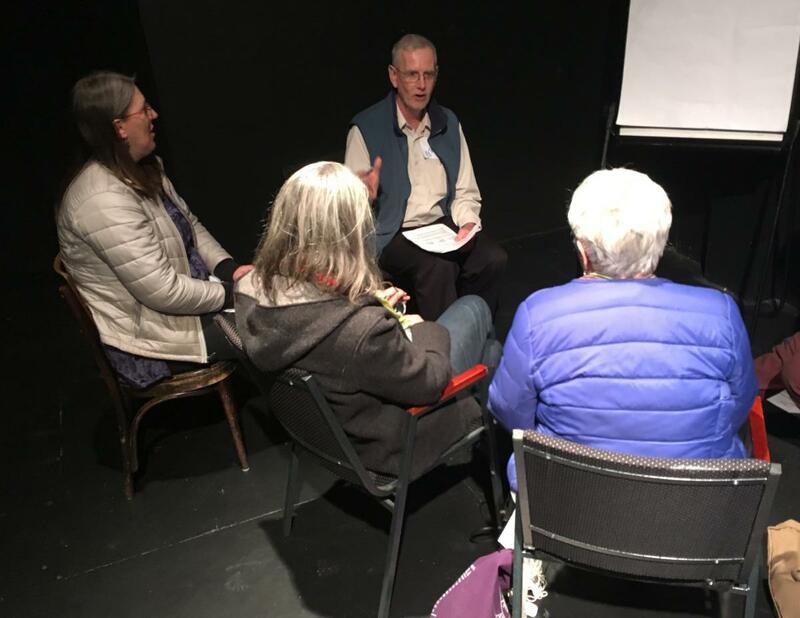 The groups included economic development/business incubatio, regional network/collaboration/coordination, libraries, schools/education and a Saranac Lake focused discussion. The groups deliberated and shared their passions for nearly an hour before reporting out to the larger group. Many next steps were agreed upon including exploring spaces, encouraging regional collaboration, and local follow-up meetings.